The general rules of tipping are confusing enough. When it comes to trainers, farriers, and grooms, it becomes even more unclear. If you ask ten different people about tipping, you’ll get ten different answers. It goes without saying that everyone involved with the care of horses works long and hard hours. But everyone is paid differently, making tipping a gray area. Usually. Let’s break it down by job title. Your horse’s veterinarian gives you a bill for the precise time and work that he did. No tip needed. Think of it this way – would you tip your own doctor for stitches or a cast or other horse related visit? Read this next: Turnout Taboo – How Much Is Right For Your Horse? Now we start to enter the “gray zone” of tipping. Farriers, like doctors, own and operate their own businesses. Their fees are their fees. Although, many horse owners will tip their farrier every time for a job well done. Or, holiday time prompts a “bonus” little something to show holiday spirit. Or, you give a little extra when your horse yanks off a shoe and your farrier makes a special trip to tack it back on. Generally these visits are including in your farrier’s fees, but since our horses like to remove shoes on your farrier’s day off, it’s nice to thank him with a little tip. Like farriers, trainers usually have a set fee for their services. And, horses being horses, can sometimes throw a big wrench into everyone’s plans. This is one case where how you are being billed will determine a tip. Like this article? Read: Should You Clip Your Horse’s Whiskers And Ears? Here’s where it gets really confusing. Some grooms are on salaries, some are paid hourly, some work only at shows, and some work at home and at shows. The bottom line for tipping grooms is that if you are happy with their work, a holiday tip is appreciated. For some disciplines, like the hunters, it’s more appropriate to tip your groom for work at a show since hours are much longer than at home. For other disciplines, tipping just doesn’t happen at shows or at home, but that can always change. 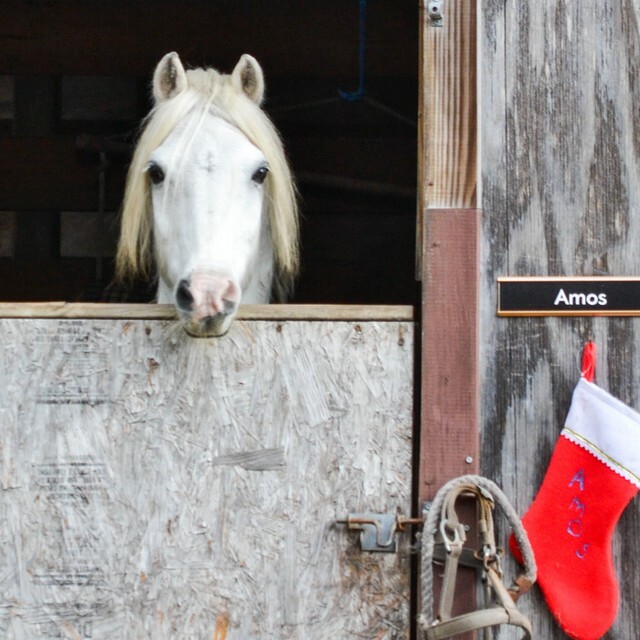 The holidays are a great time to show your appreciation for your horse’s groom. If you are unsure about what amount is appropriate, ask the barn owner or trainer what their thoughts are. You can also get together with the other horse owners at your barn and collaborate to support the grooms. While tipping is nice, and appropriate in some cases, don’t forget that it doesn’t replace always saying thank you.